DetectingScotland.com - Metal Detecting in Scotland, UK » Forum » Detecting Discussions » Beat the Doc - Identify your finds here » Anyone want to hazard a guess? This is a wee thing I found yesterday on only my second ever dig. It is not in any way shape or form of any great interest but I am curious seeing as all the other stuff I have dug up so far has been bits of farm junk and a single completely featureless coin shaped object. 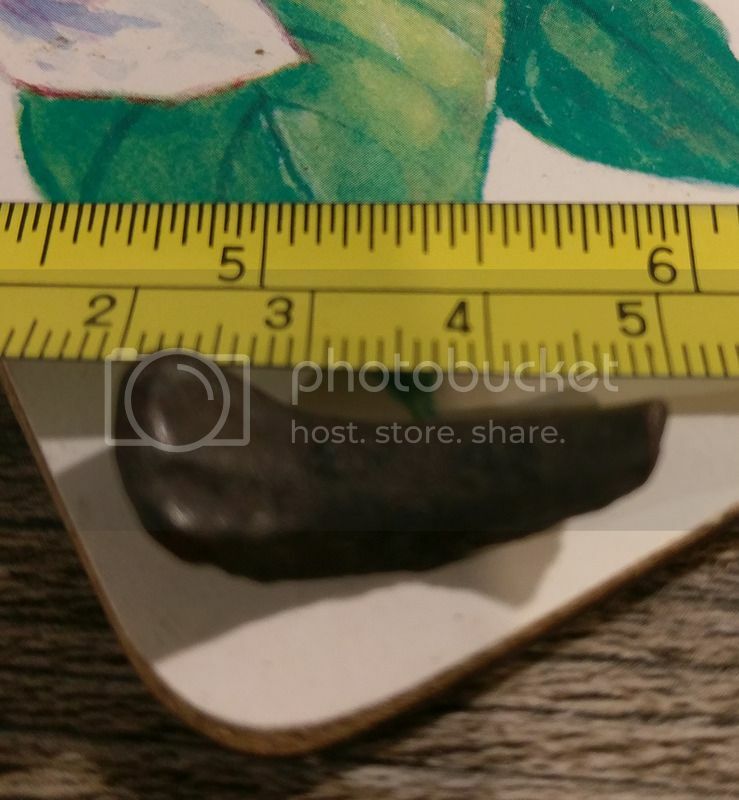 It's about an inch long, appears to be made of copper or bronze and looks a bit like a 3-toed "foot" off something or maybe the end of a tiny spoon or ladle? Apologies for the rubbish mobile photos. Re: Anyone want to hazard a guess? I can't see the images, is it hosted by photo bucket ? I used imgru yesterday it seemed to work. I won't know what it is mind you have fun. Hmm, that's odd, yes it is Photobucket. Are there issues with this site? I see them. 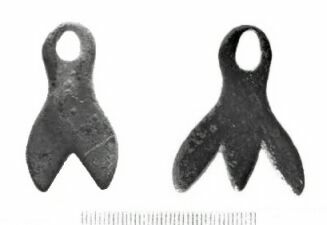 I can't see the picture either but given your description it could be a marker from a gunter's chain. Not quite like that, it is a snapped off piece with no gaps at the toes. I need to fix these images, will try another hosting site. Yep they work if I click the link, not a scoobie what it is like. 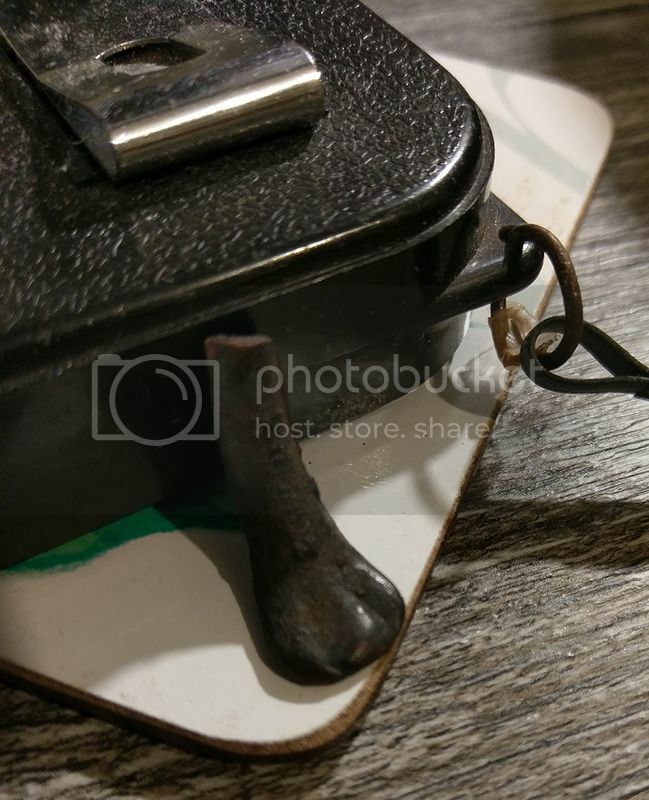 It looks like a lions paw style furniture foot, maybe off a wooden tea caddy or a small clock case, or something about that size. I've found a few of the larger versions, some in brass and others in some sort of cast alloy. Marker from a measuring line.